San Diego has one of the largest military veteran populations in the United States with a total of 265,000 veterans . 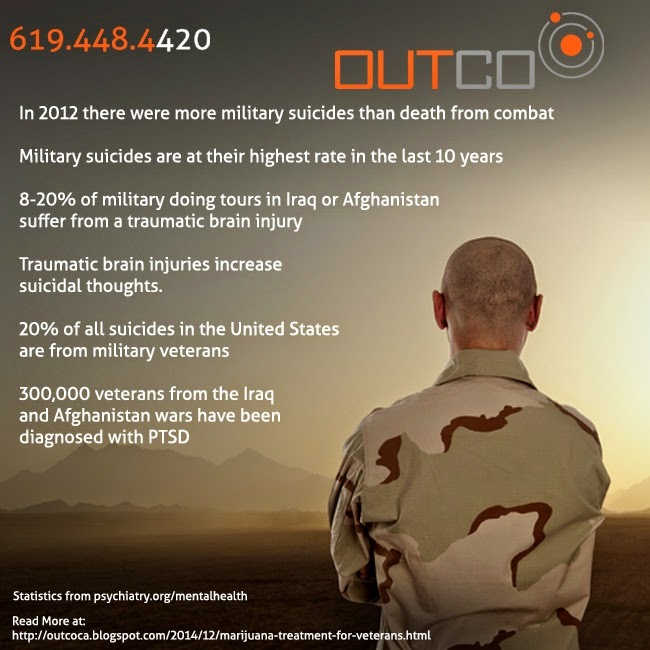 (Source) OUTCO dispenses medical marijuana to the community of San Diego, and many of our patients are veterans suffering from a variety of medical conditions. Conditions experienced by military personnel include: traumatic brain injury, chronic pain, insomnia, anxiety, depression and PTSD.